Just beyond the kitchen window a bird feeder hangs from the dogwood tree. The dogwood is full of red berries and fall colored leaves. 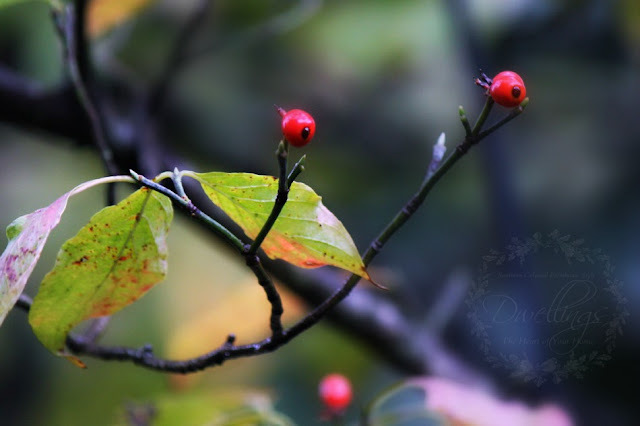 Birds feeding on dogwood berries include sparrows, bluebirds, indigo buntings, cardinals, thrushes, warblers, and other birds hunt for insects in their bark. The chickadees look so beautiful perched on the dogwood; patiently waiting for a turn at the feeder. 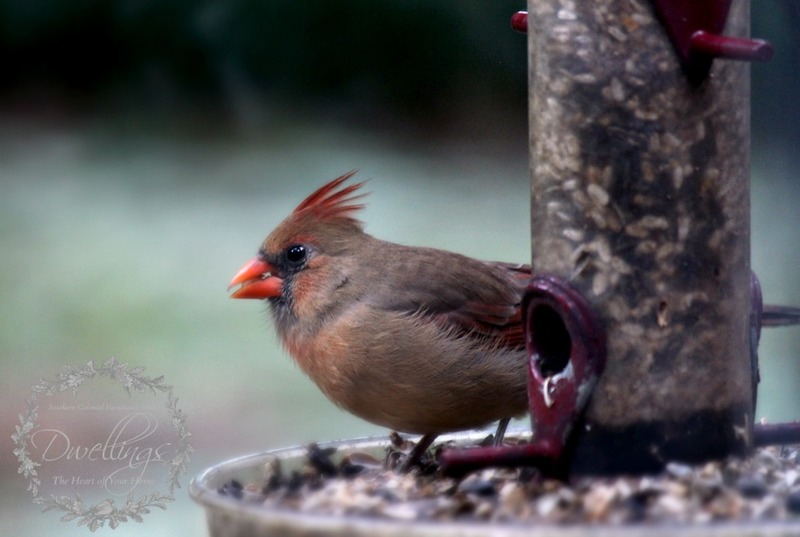 A pair of cardinals is feeding too. It's a chilly day today and their feathers are fluffy and full; they make me think of Christmas. I never tire of watching the songbirds; they are so beautiful and their songs make my heart sing! 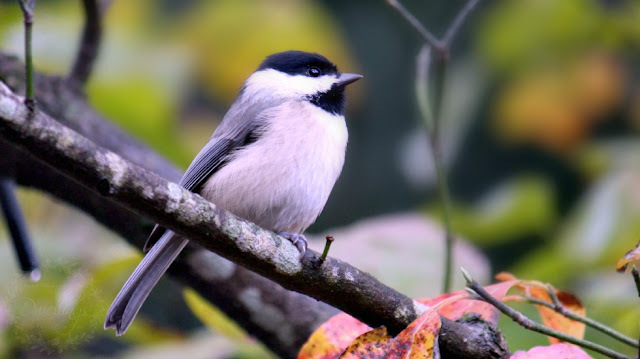 Oh, the chickadee has always been my favorite. You have captured such a handsome one. 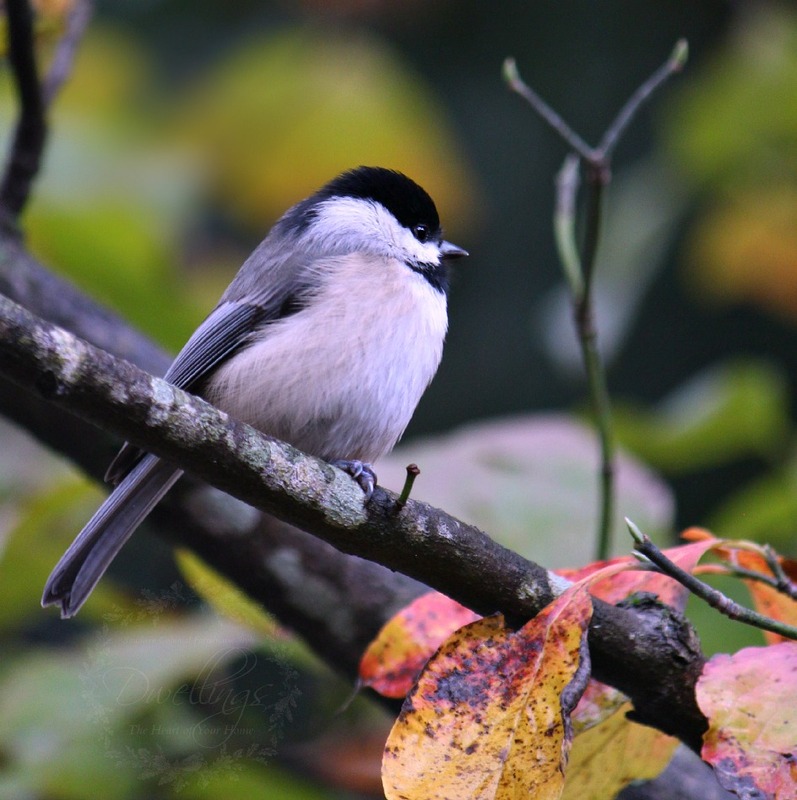 Birds are just so beautiful and sweet, you captured some amazing bird shots! Wow! 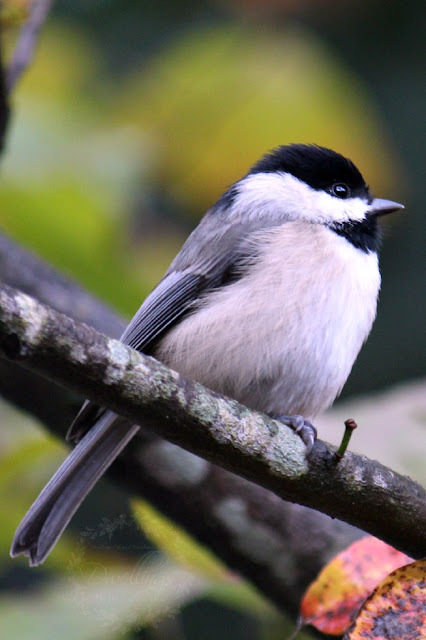 They are so cute when they are fluffed out and pudgy looking with their sweet little beaks. Thanks for sharing one of God's many wonderful creations with us. They are beautiful. Always love your birdie pics. No lie, chickadees, cardinals and hummingbirds are my favorite birds hands down. We don't get bluebirds in NJ too often. We have a bird feeder in the front of our house. I love to watch the birds and the squirrels from the window. Our cat also loves to watch them too. We have strictly house cats so the birds are safe. One of the cats sits in the window and tries to catch the leaves as they fall. I wish I was seeing more birds. As soon as I open the patio door they fly away! 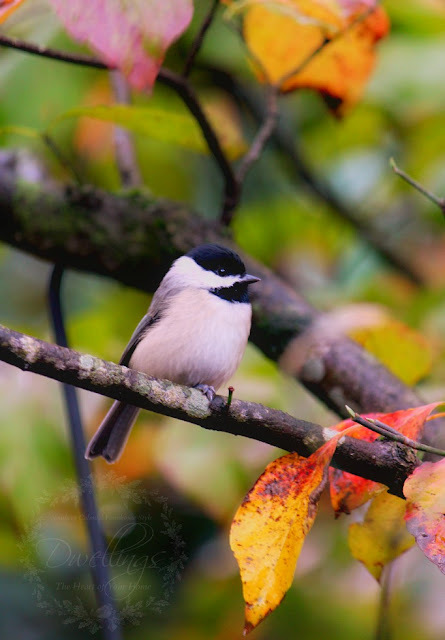 Chickadees are my favorite. Your pictures are absolutely gorgeous! Gorgeous birds at your feeder, dear friend!!! 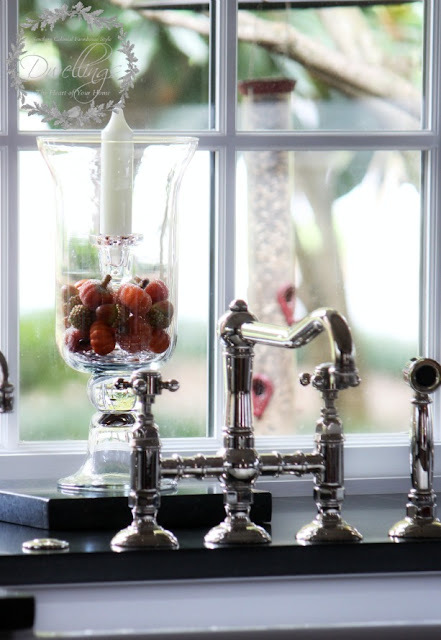 We, too, enjoy watching the birds at the feeder throughout the year!!! Thank you for the 'gentle reminder' to check on birdseed supplies!!! 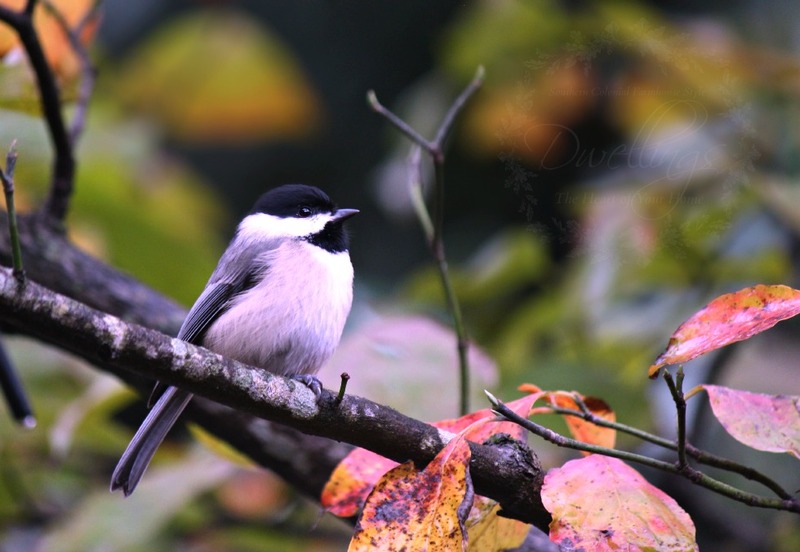 chickadees are one of my faves, they have such a cute little repertoire! plus they're adorable! You really captured the birds beautifully! 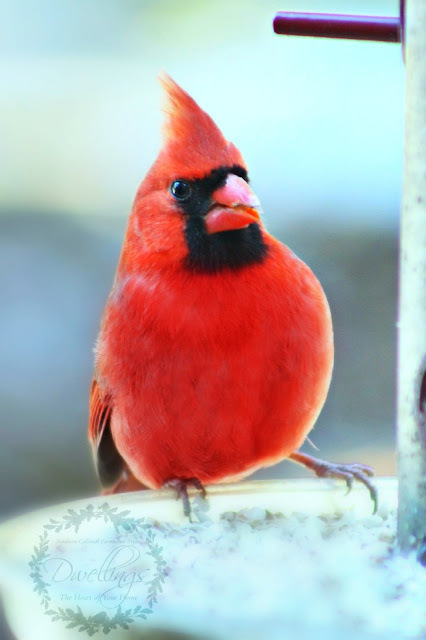 I love watching the birds outside my window - I haven't had a cardinal at my new house yet, hopefully they will start visiting. The chickadees have just found me - which is bizarre because they are usually the first to find a feeder! So pretty! 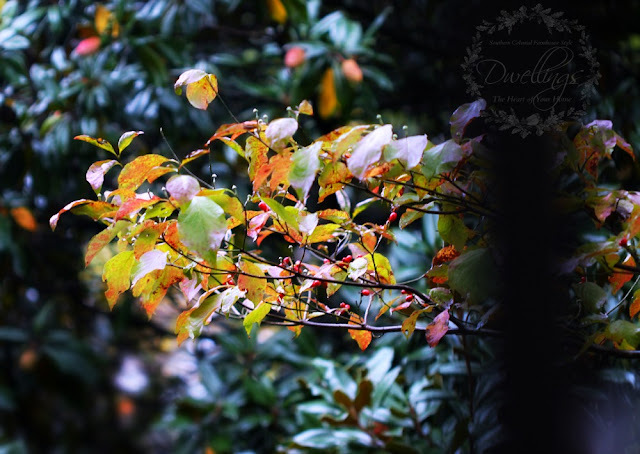 They provide some nice color and life as the winter months are approaching. I keep working on bird photographs. Yours are lovely. What beautiful pictures! Very wintery and Christmasey looking. Birds are so beautiful...and I can't walk to a window without looking for them. Your photos are so pretty! Absolutely fantastic pictures! Thank you.